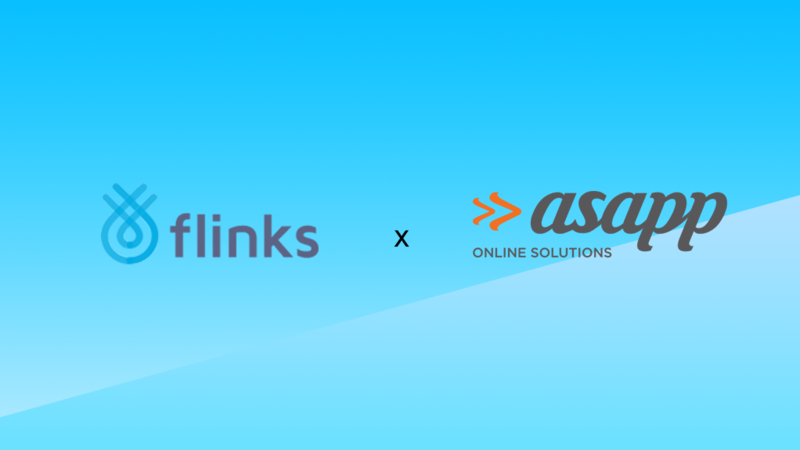 Canadian-based fintech start-ups ASAPP Online Solutions and Flinks have teamed up to connect account and lending origination. According to friendly Flinks, it will provide an embedded component within ASAPP’s omni-channel account and lending origination solution. This will give financial institutions digital know your customer (KYC) information including name, address, email, and phone number, instant verification for institution, transit and account number, insight into 12 months of account transaction history, and real-time balance verification and product cross-sell/upsell recommendations. “The addition of Flinks technology is a dramatic enhancement to the ASAPP experience, allowing financial institutions a level of automation, speed and security that would otherwise not be possible,” says Ryan Yates, VP marketing and operations for ASAPP Online Solutions. ASAPP will integrate Flinks technology into its November software release. Earlier this month, Flinks was feeling rosy and pink with the closing of a $1.75 million investment round. While back in April, Flinks and Allai allied to combine financial data APIs with insurance artificial intelligence (AI) technology.